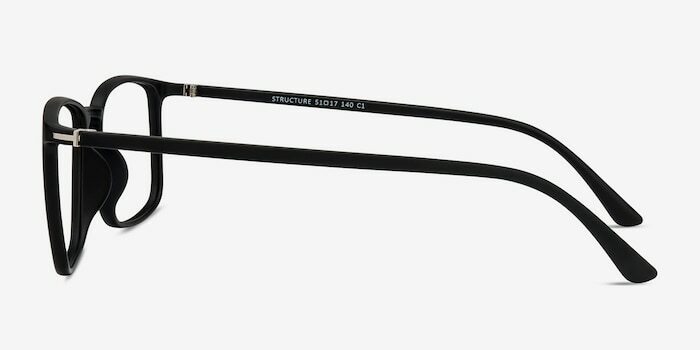 Structure is the foundation to any basic look. 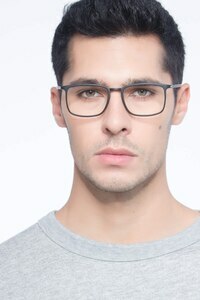 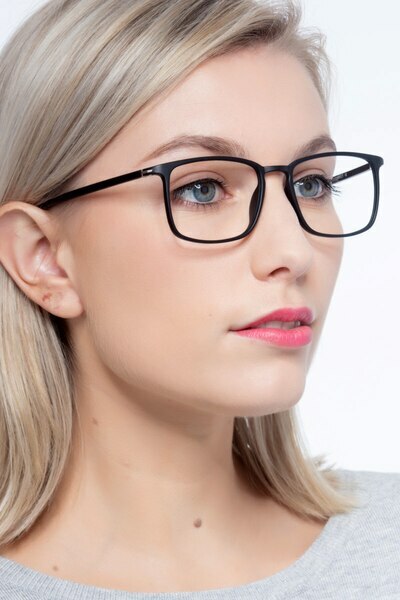 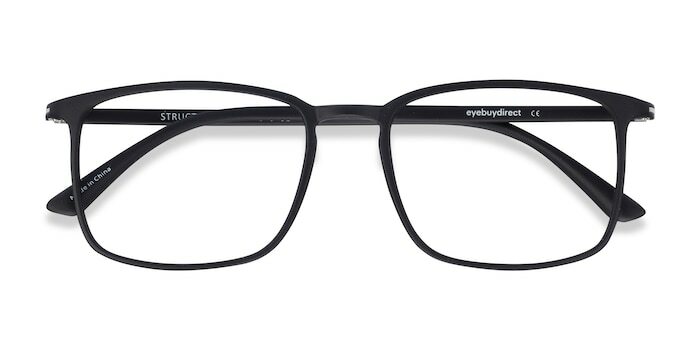 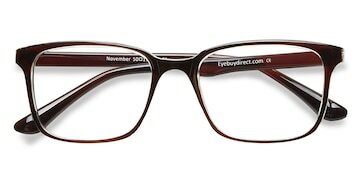 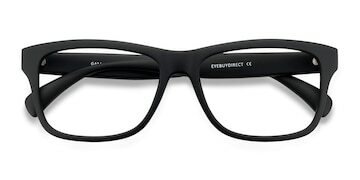 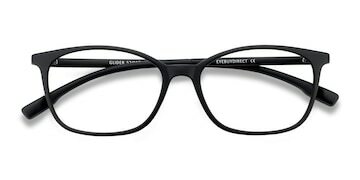 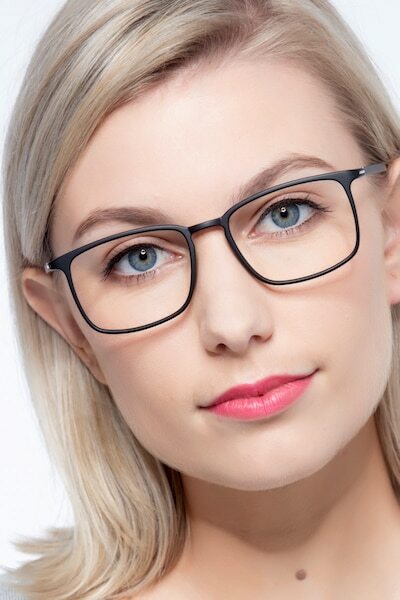 These rectangle eyeglasses feature a strong, square lens shape, thin lines, and a soft keyhole nose bridge. 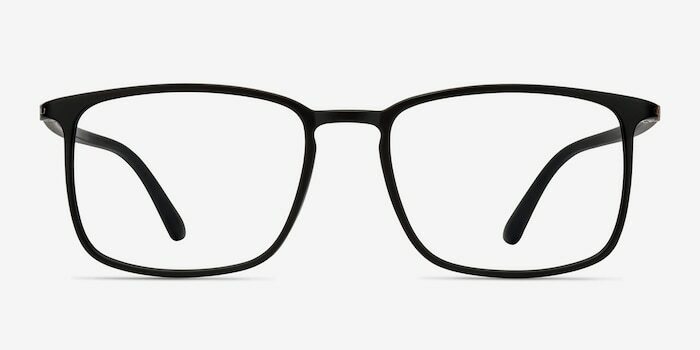 Silver rectangle accents can be found at the temple hinges of this black frame. 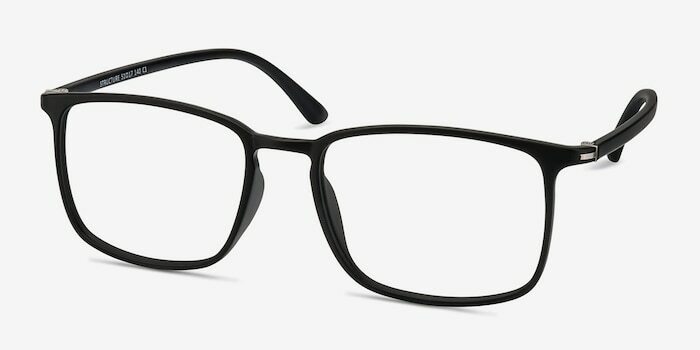 I love my glasses so much!